It looks like this month I can spend some more time on coding and stuff for my games. Additionally, as my Raspberry Pi arrived last week, I have some extra motivation to make my pygame based games run on it. 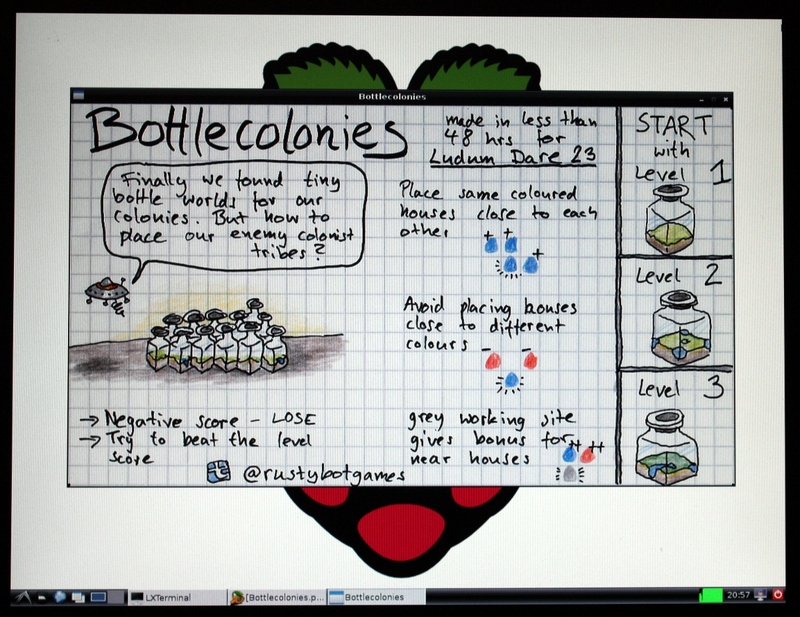 Bottlecolonies running on the Raspberry Pi. The latter is not as easy as I thought initially. With its rather limited hardware the Pi provides quite a challenge for my game Bottlecolonies to run in an acceptable speed. So I started profiling and optimizing my code which is quite an interesting experience so far. For example, I was able to make blitting my number font three times faster by removing an unnecessary surface copy in every call. With that success I will continue to search for bottlenecks in my code to remove them. On a standard PC I wouldn’t even have noticed. This is the hardware I’m talking about. Runs Linux. 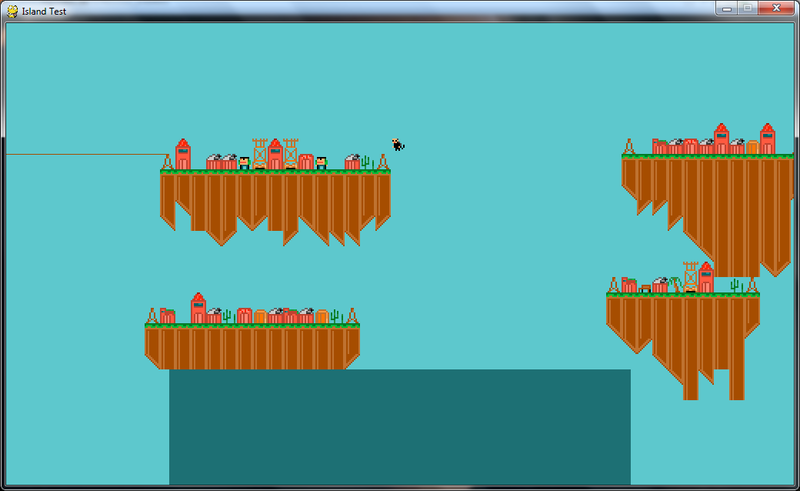 I tried to remove the bugs of the prototype by heavy refactoring but haven’t gotten that far actually. So it looks like I have to start this again from scratch to make it stable and expand on the idea. So that’s it for now. 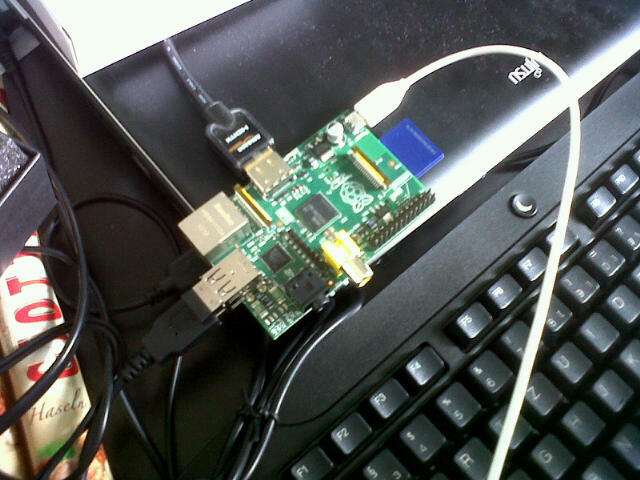 Expect some more regular updates on this blog about those projects.